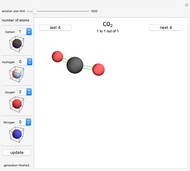 This Demonstration uses a recursive algorithm in order to generate a list of possible structural isomers given a molecular formula composed of carbon, hydrogen, oxygen, and nitrogen atoms. Structural isomers are molecules that have the same molecular formula but different arrangements of atoms and different bond sequences. 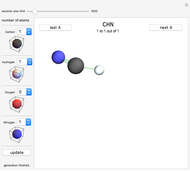 Three-dimensional models of isomers are presented in sets of four that you can rotate. 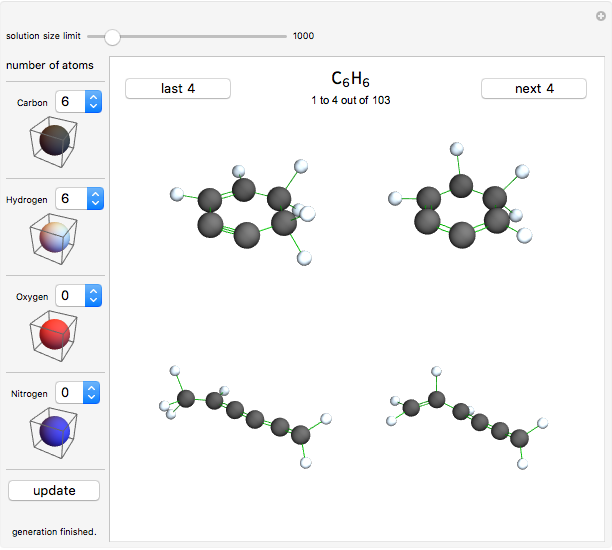 The algorithm is by default limited to generate 1000 possible compounds and then proceeds to extract the unique solutions to display. 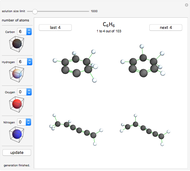 You can increase the limit to generate a larger number of compounds so that more unique solutions can be found. The algorithm appears to be approximately 95% dependable. Some unstable molecules are predicted, particularly those with small rings, and some stable molecules with more exotic structures are missed (for example, cubane ). 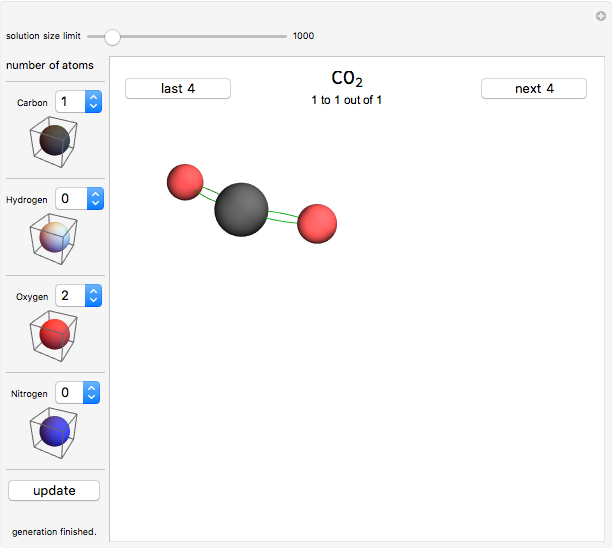 Each drop-down menu defines the number of each respective atom in the molecule. No changes are made until you click the "update" button. 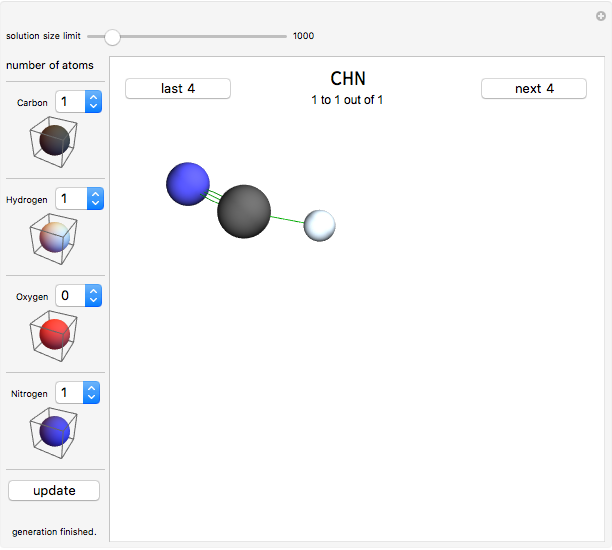 William Zhang "Isomer Generator for Organic Molecules"